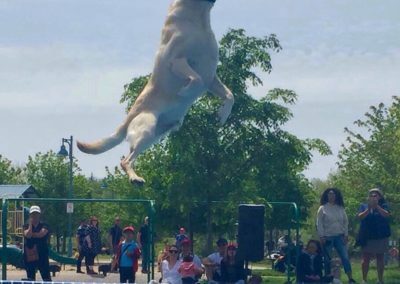 At just shy of 7 years of age (birthday July 9th during our Double Header), Max is the eldest member of the Canadian Lab Squad. He was a rescue and although not from an abusive situation, he definitely needed to be re-homed and we were lucky to have him join our family. Max is 100% Al’s Heart Dog. They share a very strong bond. 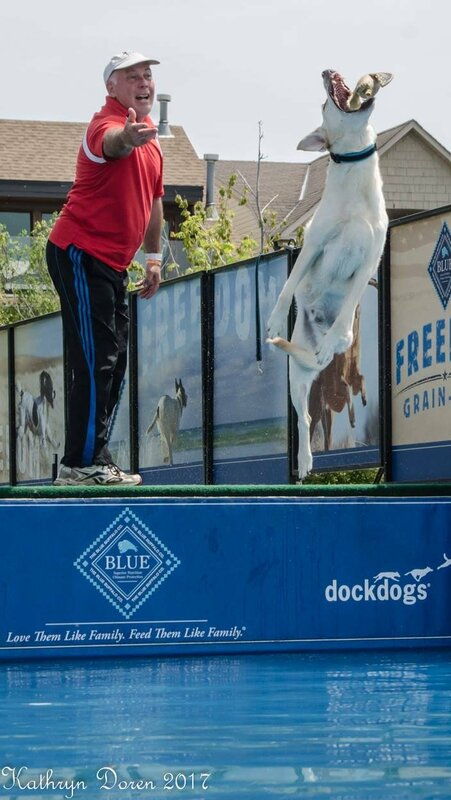 Max started DockDogs late in the season of 2011. He excelled immediately and from 2012 onwards he annually earned multiple World Championship invitations, making the trip to Dubuque every year (missed 2016 due to mommy’s health). 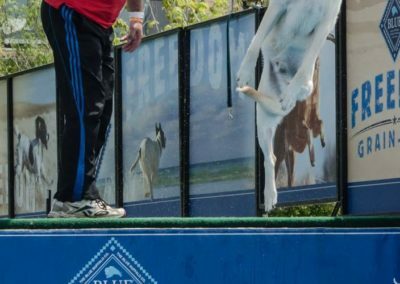 Once Dueling Dogs was introduced, he earned invitations for that as well and was in the 2015 finals at the World Championships for his class. 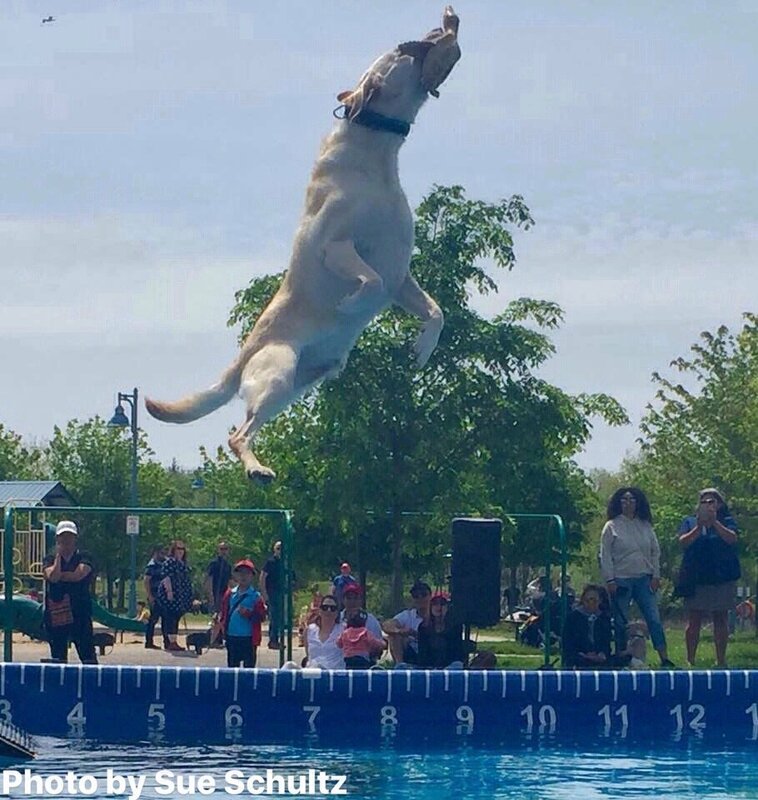 During the 2016 season, even though he earned DockDogs and Dueling Dogs World Championship invitations, something was off with Max. He would sometimes jump his Masters division but more often high Senior. We didn’t think much of it other than perhaps it was age related. He wasn’t indicating anything health related. Sadly February 8, 2017 started a whirlwind of change for Max, the Lab Squad and our household. One day Max start limping and would not weight bear on his rear left leg. We took him to our local vet who believed he had a torn CCL. 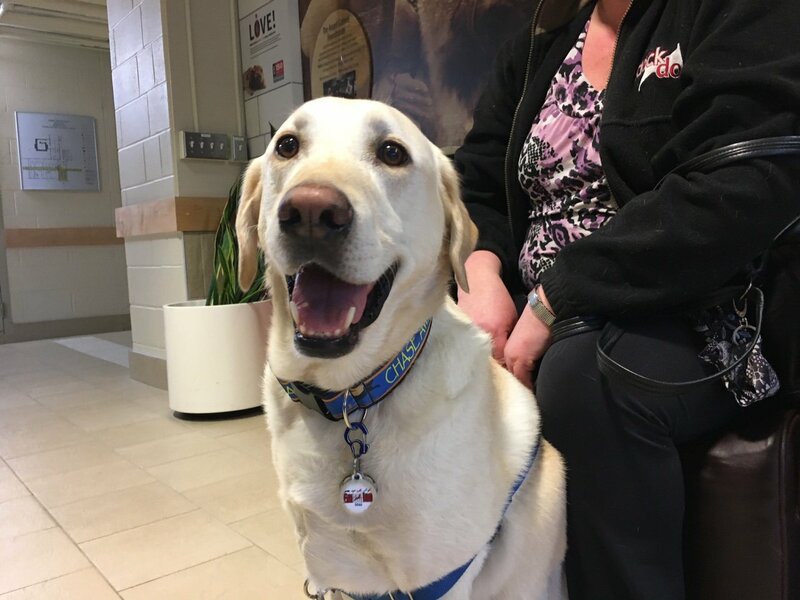 Max was booked for surgery on February 22nd. As we anxiously awaited word, we got a call we never expected. 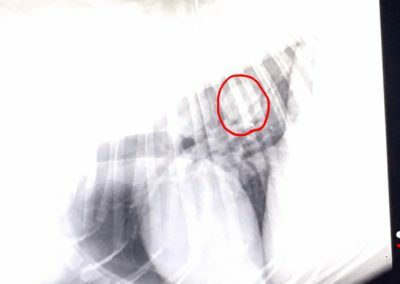 Max was on the OR table, under anesthetic and X-rays showed a mass and abnormal spots in the bone. Instead of the planned surgery, biopsies were taken instead. That was a Wednesday. By Friday we had a diagnosis of Osteosarcoma. The worst of the possibilities. Wednesday March 1st was the Oncology appointment. 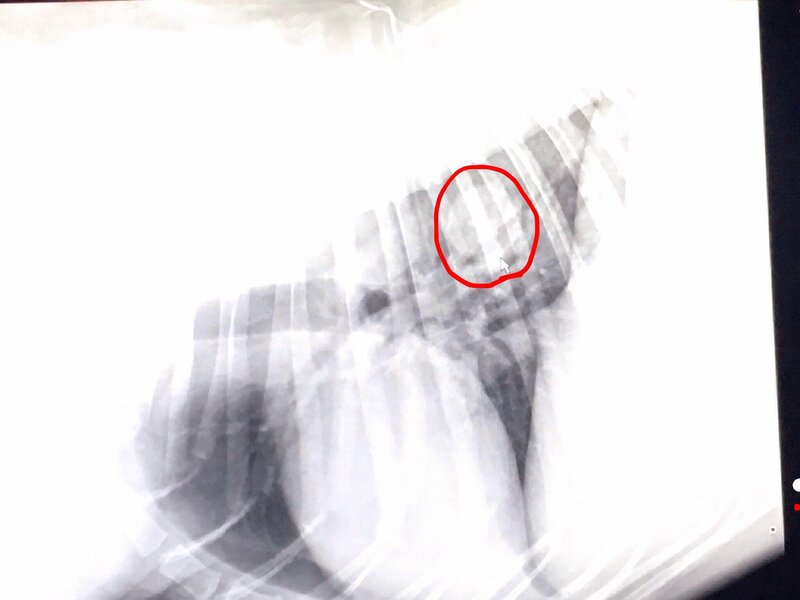 Chest X-rays were taken and were clear. With the understanding that clear now didn’t meant 100% clear, that there is still a possibility that the cancer could have spread and just not yet be visible, we opted to proceed with surgery. 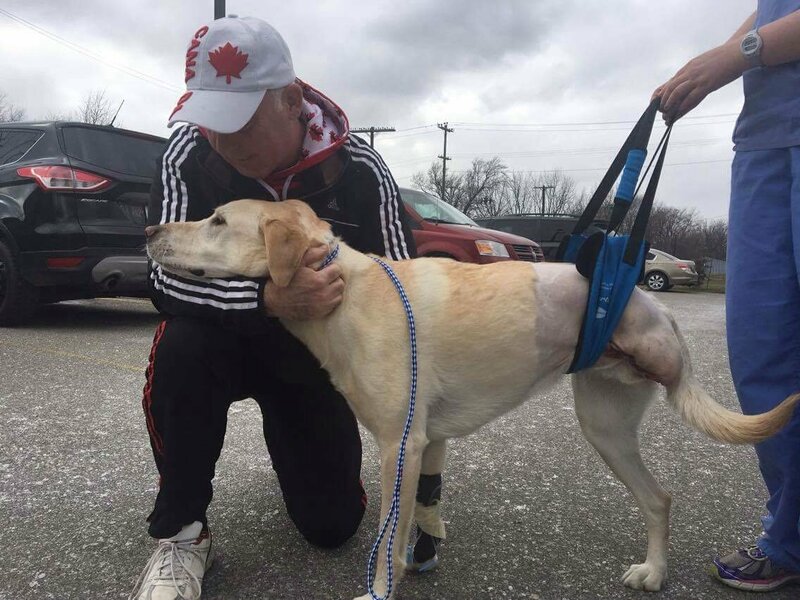 On Thursday March 2nd, Max’s leg was amputated at the hip. Max has been a trooper. Within hours he was back up on his feet; does the few stairs we have at home; runs a bit when outside. On day 9 post surgery, he had his chemotherapy consultation. Max’s progress was going so well that his treatment started that day rather than wait until the following week. As is Max’s nature, he underwent chemo like the trooper that he is. He went through three treatments without any major complications. May 12th was the scheduled fourth and final chemo treatment. Sadly, that day did not go as planned. X-rays were again taken and it was discovered that in the past ten weeks, the cancer had spread to Max’s lungs and already grown to the size of a quarter despite being on chemo. In discussion with his vet, a different drug was going to be tried. This time though, Max wasn’t strong enough to fight the battle. He became a shadow of himself. He wouldn’t eat, drink, had no energy, our usual lap dog couldn’t even get up onto the couch and instead laid in a ball on the floor. For a drug that was never going to be curative and at best only slow the cancer’s growth, we just could not put our boy through this agony for his final days, how ever many those might be. So his chemo was stopped. Within days, we have our boy Max back. Happy Smiling Max. We don’t know his estimated remaining time with us. We did not ask. We do not want to know. We only know that we want to enjoy every one of them until it is time to say good-bye. He will let us know when that time is right. Until then, we will continue to love him, play with him and most of all, let him swim and play on the dock. His happiest place in the world. Up there right next to his daddy!